A heartwarming story written in the form of Jack's diary. 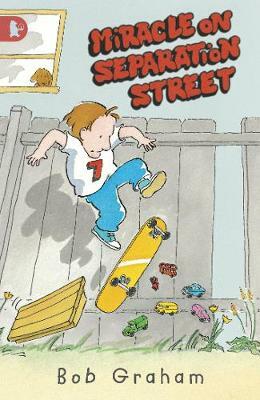 Jack lives with his family in an unremarkable part of the city called Separation Street, with his embarrassing parents and his little brother, Duggie. Jack's mum works hard to buy them a secondhand car, but one morning the family wake up to find it ... gone! Who took it? Mum always sees the best in everyone and won't let it be said that it was the Mob, or Decco, or any of the youths who hang round their estate. Then she's proved right - when a miracle happens.